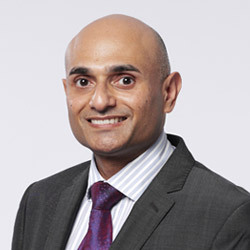 Khalid has over 25 years of professional experience in the financial services industry. He began his career at AXA and then worked with an international bank and leading mortgage broker before setting up Blackstone Financial Solutions in 2014. He specialises in truly individual advice for every client and is known for his integrity and efficiency. Client satisfaction is the backbone of everything that Khalid does and his success has been reliant on the very high number of client referrals he receives. Khalid enjoys dealing with a wide spectrum of clients ranging from those working in The City to professionals, business owners, landlords and first time buyers. His passion for helping people achieve their dreams comes across in the time he invests with every individual customer and his client focused, personable approach to his work. Khalid is a father of three who enjoys travel and who supports a number of community based projects as well as global charities.